One fundamental element that is missing in Lebanon is the professional conduct of governmental projects. This failure in managing the nation’s short and long term plans is getting worse with the absence of a Ministry of Planning. The critical role of a Ministry of Planning is in providing the necessary support, framework management and the allocation of resources to facilitate the provision of public services. Back in the 1960’s Lebanon had a similar office under the name of “Ministry of Design” (وزارة التصميم) that had a major role in the development of the Lebanese infrastructure but was abolished after the Taif agreement and the Syrian takeover of Lebanon. This absenteeism for more than two decades is clearly seen in the poor condition of today’s infrastructure, whereas public projects planning are handled by each ministry separately, and are victim of corruption, political influence and bad management. + Draw a coordinated urban planning aligned with all the involved ministries. – Its duty is NOT to approve or disapprove a project; it’s the role of the government and parliament to do this. – The minister in charge is NOT allowed to reject a project, but recommend amendments for the sole benefit of the project. – His responsibility should be limited to the accomplishment of a project regardless of his/her political alliances. 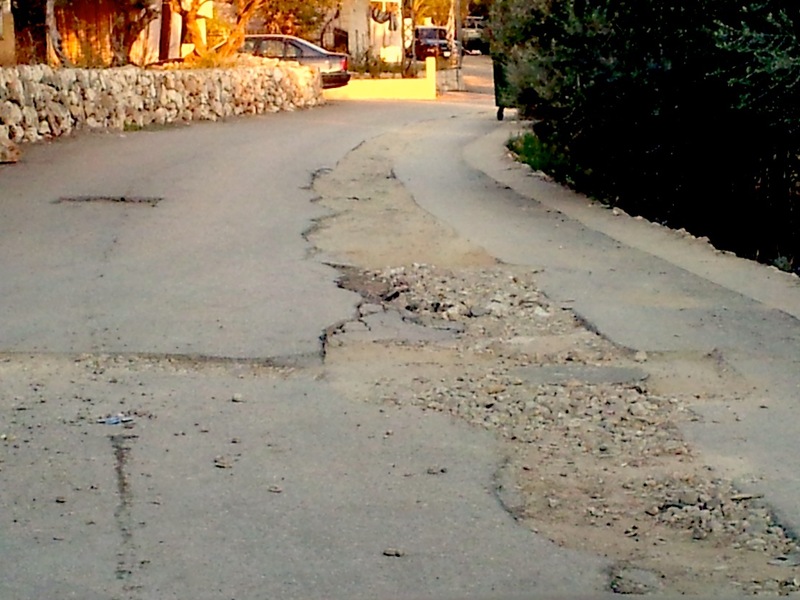 How many time was this same road scraped over and over again to install pipes, telephone wires or a sewage system? How many time were public projects initiated just for personal gain? How many times was a project delayed due to political disputes? A Ministry of Planning should finally see the light in Lebanon, and replace the useless ministries of state, or the Ministry of the Displaced that should be abolished 23 years after the end of the Lebanese war. Lebanon at that time needs governmental departments that work for the interest of the Lebanese people rather than to please landlords, businessmen and corrupted politicians.